For the price of an ordinary B&B or motel you could be staying in a genuine early settlers cottage. Just a couple of hours away from Sydney or Newcastle, you can step back in time and feel the stresses of life just melting away. 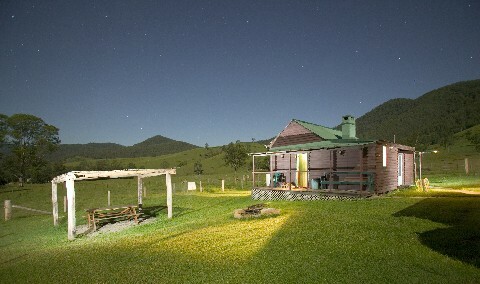 Toast marshmallows over an open fire, fish in your river, or just sit on the verandah with a good book. And the stars at night are just amazing! Roseleigh Cottage is close to the Gloucester Tops National Park and nestled on the banks of the Gloucester River. If you are feeling energetic you can enjoy the nature trails in the National Parks, or nearby horseriding, kayaking and bike riding. It's rustic simplicity has made it a favourite with visitors who return again and again. Try something different and take a break at Roseleigh Cottage.